Having a sand mound drainage system is not like having a traditional leaching field. You have to take special care of it, or else it can start to experience issues. Since it is known to be a very complicated wastewater treatment system, you should pay close attention to any warning signs it may present. One such warning sign is wet spots on your sand mound. If you have wet spots currently call your local septic expert right away. In the mean time. We will tell you a few ways to help with fixing and preventing sand mound wet spots. Why should you learn about fixing and preventing sand mound wet spots? Well, the most obvious reason for this is because you own the property. You should know every nook and cranny of your yard and house, especially when it’s all about your sand mound system. Your property has a high water table and aberrant soil. It is raised above the ground to adjust to that high water table and filter systems to make the soil suitable for wastewater treatment. Since you were just a newbie in the world of homeownership, you weren’t able to do some of the proper things that you should do when it comes to the use and maintenance of your sand mound system. If you are a homeowner, your main responsibility for your sand mound system is to maintain a regular pump out schedule. You have to keep the sludge level at normal levels so that clogging and blockages would be prevented or treated. Pump outs depend on the number of people that stay in your home. Talk to your septic expert about the living situation in your home so that a proper pump out scheduling could be made and kept. This would definitely help to fix and prevent sand mound wet spots. Blockages can be result from the dumping of non-biodegradable materials and grease, tree roots, and high water load. Grease and non-biodegradable materials cannot be degraded by the resident bacteria in the sand mound system. They will just stay there and clog the entire system. Tree roots invade the sand mound system in search of nutrient-rich wastewater. These roots will eventually make cracks and gaps that will give way to leaks. You should remove the roots manually and relocate the plants to an area away from the sand mound system to fix and prevent the sand mound wet spots. The high water load caused by heavy rains and heavy laundry batches stir up the sludge that clog the soil absorption system and the filter system. Install a dry well to help with the grey water from your washing machine and dishwasher. Divert the rain gutter away from the sand mound system to help prevent the formation of wet spots. The use of harsh chemicals and antibacterial cleaners kill off the resident bacteria in the sand mound system. Without bacteria, the solid waste materials will not be broken down, thus clogging the system and forming the sand mound wet spots. Use environment-friendly and bacteria-friendly solutions to get the job done while caring for the bacteria. 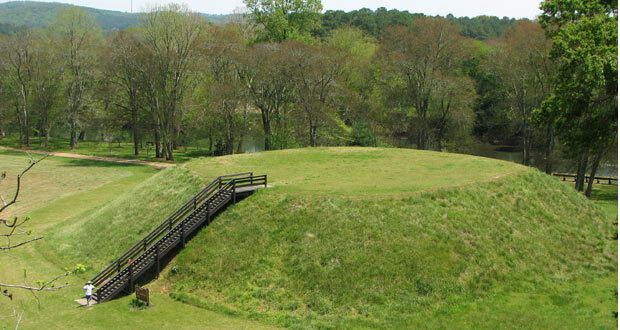 The sand mound system components might be damaged because of the tree roots that are after the wastewater, old age of the sand mound parts, and soil compaction brought about by the heavy weight of vehicles and structure over and near the area of the sand mound system. The vehicles, trees, and structures should be moved to another area. The deteriorated parts should be replaced immediately. All these should be taken care of to prevent the leaks from forming sand mound wet spots. It was a brand new thing for you to learn about fixing and preventing the sand mound wet spots. Even if it was hard to promise your septic expert to keep the scheduled treatments and use the system properly, you did it because you knew that the lifespan of your property depended on what you did. Sand mound wet spots may be warning signs for a failing system and you wouldn’t want that to appear on your lawn again.